B737NG Throttle Quadrant replica with potentiometer (flaps lever) without replica side panels. Direct interface with Prosim and Project Magenta, and compatible with Ifly 737, Prepar3d, PMDG, X-Plane, Sim Avionics and with any other software working via FSUIPC. The B737NG TQ series are designed to be accurate fully functioning replicas of the original part and provide the same reliability to intensive use. Developed in close collaboration with Project Magenta and Prosim, our TQ are also tested by professional airline pilots to grant the high quality realism we are known for. Our TQs are real Plug & Play devices, only one USB connection is required and a specific calibration file is prepared for each unit in order to simplify the installation. Direct interface with Prosim and Project Magenta, and compatible with Ifly 737, Prepar3d, PMDG, X-Plane, Sim Avionics and with any other software working via FSUIPC. NEWS! Now Compatible also with PMDG 777 ! After the installation of the TQ Drivers, during the reboot of the Operating System, the PC crashes and a blue screen appears, how can I resolve this? Are the Drivers supplied compatible with Windows 7/8/10 32 & 64bit? Are the switches "Main Elec" and "Auto Pilot" fully functioning? Are the trim wheels motorized in all TQ versions? Can I use the TQ immediately without making any calibration? Do all the TQ versions have the backlight? Do we have to pay the drivers updates? How can I connect a TQ to the PC? How do I know how much is the shipping cost for the TQ? Is it possible to buy a TQ-No Motor and buy later a kit to convert it in motorized ? Is this TQ version compatible with Prepar3D V1? Is this TQ version compatible with Prepar3D V3? Is this TQ version compatible with ifly 737ng? Is this TQ version compatible with Prepar3D V2? Is this TQ version compatible with Prepar3d V4? Is this TQ version compatible with Project Magenta Software? Is this TQ version compatible with Prosim 737? Is this version of TQ compatible with PMDG 737NGX for P3d? Is this version of TQ compatible with PMDG 737NGX? Is this version of TQ compatible with X-Plane 9.7? Is this version of TQ compatible with X-Plane 10? Is this version of TQ compatible with X-Plane 11? 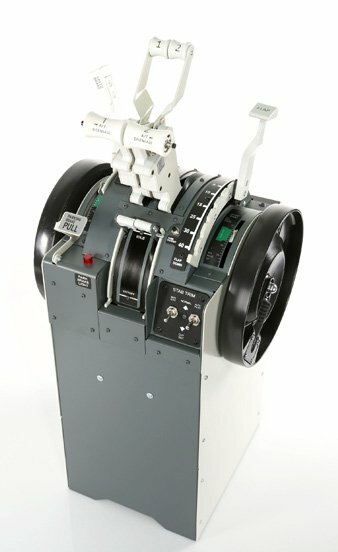 This version of TQ is compatible with Sim Avionics? What drivers are provided with the TQ? What this version of TQ needs to work correctly? Which are the accessories supplied with the TQ? Which are the main differences between the 737NG-TQ/NO-MOTOR/PRO model and the 737NG-TQ/NO-MOTOR/SEMIPRO? Which is the average delivery time to supply a TQ? 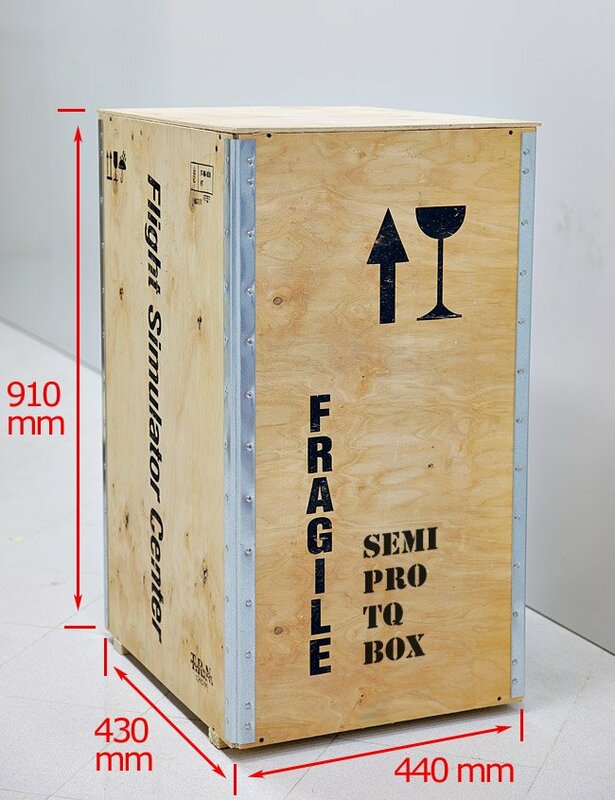 FSC TQs are packed and shipped in sturdy and safe industrial-grade wood boxes, tropicalized if needed. This way you can be sure to receive your product exactly as we made it. No they are just aesthetic parts. The trim wheels are motorized only on this TQ motorized version. On the No-Mot Version you can just move them manually , BUT in the NO-Mot Version the Trim Wheel are not connected to the elevator trim command. Yes.When we test the TQ in our labs we create for each TQ and for each Drivers (FS9, FSX e X-PLANE) their calibration files and we supply these files with Drivers to customers on a USB Pendrive ready to be used. We supply also a manual guide with all information how to set them in your system. No, the 737NG-TQ/MOTOR/SIM has the backlight. The other version has only the Park brake red led. You just need to add the product to the “cart” (no registration on the web site is required) and choose the delivery place from the menu “Simulated Shipping cost”. Yes, with the new drivers now the TQ is fully compatible. FSUIPC registered version is required. Simply request them by sending an email to info@fsc.it with your TQ S/N, and we'll reply you with the new drivers. Yes, this version of TQ is compatible with IFly 737NG (requires FSX or later). not tested with FS2004 and P3D. FSUIPC 5 registered version is required. Yes, it's possible to use the TQ with Project Magenta Software but in this case it MUST NOT TO INSTALL the FSC Driver provided in bundle with the TQ and Project Magenta Software will menage all the functions of TQ. In this case You must remove the TQ driver inside FSX/P3d, They can't work together. Yes, this version of TQ is compatible with PMDG 737NGX. Then in "Throttle configuration" menu in our TQ driver check the "Activate PMDG NGX Mode" selection. Yes, this version of TQ is compatible with X-Plane 9.7. Yes, this version of TQ is compatible with X-Plane 10. But only with default aircrafts. For other add-ons some additional scripts are required. Yes, this version of TQ is compatible with X-Plane 11. It works via FSUIPC through customizable offset, therefore ensuring compatibility with any software working via FSUIPC. 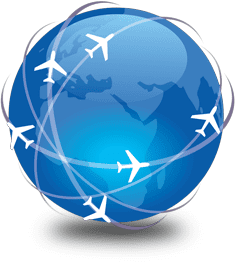 The TQ is provided with the drivers for Flight Simulator 9, Flight Simulator X, Prepar3d and X-Plane. This version of TQ to work correctly need the FTDI Drivers (provided with the TQ or downloadable from the website http://www.ftdichip.com/ in the Drivers section), our Driver provided with the TQ (compatible with Flight Simulator 9, Flight Simulator X and X-Plane 9.x/10.x), and FSUIPC Drivers (if You use Flight Simulator 9 or Flight Simulator X) or XPUIPC (if You use X-Plane). These drivers are not supplied with TQ and can be obtained from www.simmarket.com (FSUIPC) or from www.tosi-online.de (XPUIPC). This TQ version comes with 1 USB cable type A to B of 5m., 1 Power Cord, one key to tighten or loosen the internal clutch of TQ, one USB Pendrive with the drivers bundle for Flight Simulator 9, Flight Simulator X, Prepar3d and the driver for X-Plane, the instruction manual for unpack the TQ and the Driver Manual. The main difference between the two versions is the “Form Factor” (the No-Motor Pro has a wider basement) and the weight (the No-Motor Pro weights 1 kg. more). Both TQ are built completely in metal as well as the engine levers, reverses, Speed Brake and Flap levers. For additional details we suggest to see the links on the product web-page of our website. Moreover, the No-Motor Pro version has two plastic cover switches for the Stab Trim switches “Main Elec” and the “Auto Pilot” (no functioning switches in both TQ versions). The functions are the same in both versions. Usually we have a quite good number of pieces on stock “Ready for shipping” (that means already tested and calibrated). If the product has not been yet tested and calibrated, we need at least 1 or 2 days to have it ready to be delivered. Delivery time from our facility to final destination is always between 3-5 days depending on the destination.